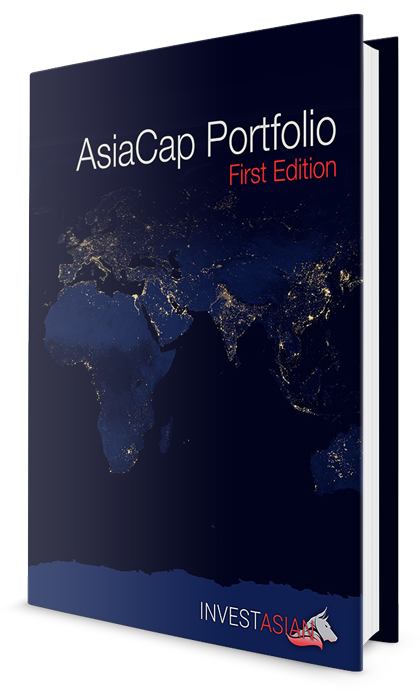 Due to strong demand, the AsiaCap Portfolio is now closed to new readers. This helps us keep our high standards and personalization. Please reserve a spot below. Access InvestAsian's Private Research With a New Pick Every Month! InvestAsian's team of analysts scours nine different stock exchanges in six languages to find our clients the value and wealth diversification they crave. Asia will be the world's engine of growth in the 21st century. With a population of over 4.5 billion, strong fundamentals, and most stocks not seeing analyst coverage, those who invest in Asia now will reap the rewards later. The AsiaCap Portfolio is the best way to invest in the rise of this dynamic region. An investment advisory service rather than just a publication, all subscribers have access to a consultant who can answer any questions you may have. Issues of the AsiaCap Portfolio are custom tailored to our audience. They include a variety of topics such as the best places to open brokerage accounts, demographic trends, private equity alerts, and stock picks. "Don't listen to people who say you can't beat the market. It's actually quite simple - just go to a different, better market." What's Included With the AsiaCap Portfolio? Whether it’s a fast-growing startup in Cambodia or a well-managed firm in Malaysia, you’ll know our best investment of the month. We’ll help you open offshore brokerage accounts so you can trade the stocks we recommend – no travel required. Advice means nothing if you can’t act on it. Learn about demographics, economic data, and more. Our advice can help you grow and preserve your wealth better. Each issue has a questions and answers section. We publish all questions, up to three from each subscriber per month. The AsiaCap Portfolio is diversified across multiple industries in many countries. We have one of Asia’s most comprehensive stock portfolios. We don’t just help you make money. Our tips on opening offshore brokerage accounts can help spread your wealth across different currencies and banks. When we recommend a stock, we also walk you through the best way to buy it. This means information about opening offshore brokerage accounts in secure, economically robust jurisdictions like Hong Kong and Singapore. Such information is valuable by itself for anyone wanting to protect their wealth, diversify abroad into different currencies, and limit their reliance on a single financial system. We aren’t your typical English-speaking analysts working at a bank thinking they know how to invest in frontier markets. Instead, we’re here in Asia, on the ground, speaking the language with local connections. This obviously gives us an edge when recommending stocks. But we also come across non-listed assets. If we hear about a promising startup in an emerging industry, you’ll be among the first to know. We take a hands-on approach. If there’s something you should know, such as a recommendation to sell a stock or anything else, we don’t wait until next month to tell you. Of course, we don’t want it to be bad news every time you open an email from us. Plan on learning about surprise investment opportunities or ways to diversify your assets too. Feel free to interact with us as much as we interact with you. If you want a custom tailored solution or our opinion about anything, we’re here to help. That’s an addition to our questions and answers section in each monthly issue of the AsiaCap Portfolio. We realize people sometimes have questions that need more than a few paragraphs to answer. Quoted in publications such as Forbes and Businessweek, Reid has devoted his life to scouring Asia's stock indices and property markets. He's convinced most of the world's growth will happen in Asia over the next century. Because of this, he believes money invested here will outperform other investments. Reid is the founder of InvestAsian, based in Bangkok and Phnom Penh, although he travels all over the world. Learn more about Reid Kirchenbauer by clicking here. Reid is probably the sharpest investor in the ASEAN financial market. One of the smartest people I know. ****** in China was a great buy and made me thousands. Well worth the subscription price! If you’re not satisfied with the AsiaCap Portfolio in any way, we’ll refund every bit of your purchase. We’re dedicated to providing the best information out there. But if you don’t think what we have is right for your needs, this guarantee protects you. With monthly stock recommendations, economic analysis, diversification tips, and a 14-day money back guarantee, the AsiaCap Portfolio is one of the best tools out there to help you invest globally and profit from Asia's rise.